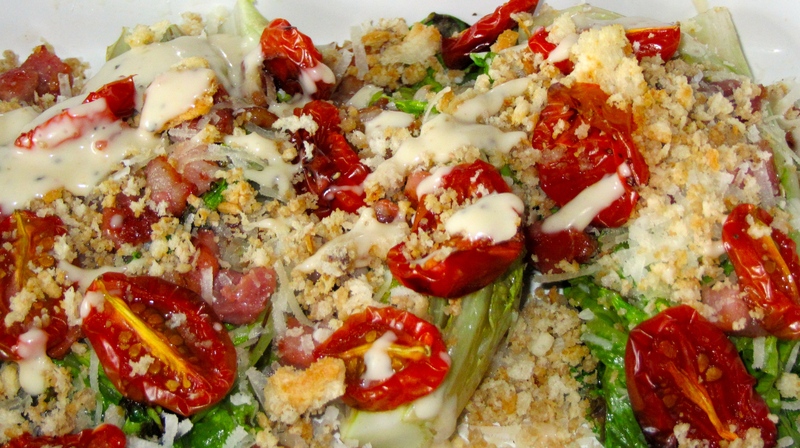 The Telegraph Healthy Caesar Salad appealed to me, as it’s not your usual Romaine Lettuce, Parmesan and Croutons. The recipe lost a few points for me, for the length of time it took to take prepare, it made up for it overall though with the flavours. 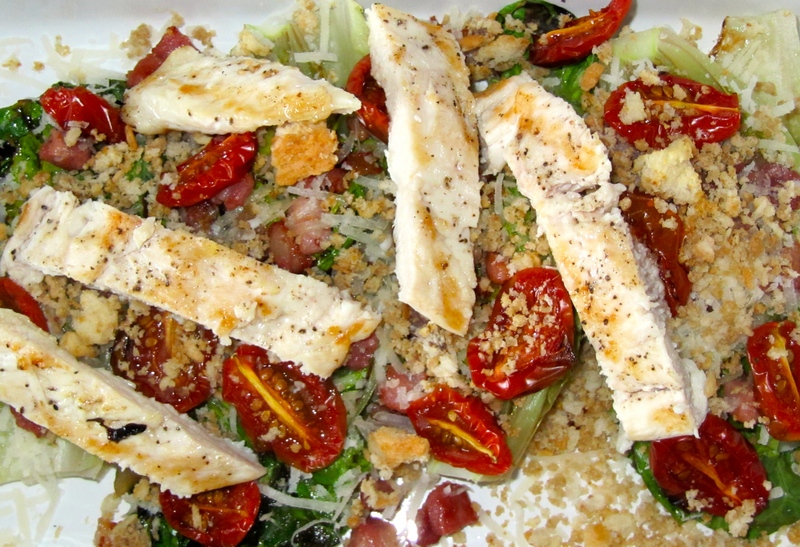 Clarifying the butter and slicing the lettuce (without them falling apart) is probably the hardest thing in the recipe. There is nothing technically difficult, however there is a lot to juggle to make this complex recipe, which is why have given it slightly a slightly lower score. wouldn’t make this again unless it was a special occasion. Most of the time was taken roasting the tomatoes, although the pangrattato also takes quite some time. I don’t think the tomatoes need anywhere near as long as the recipe suggests and it could probably be completed in about half the time. What this recipe loses in preparation time, it more than makes up for in flavour. 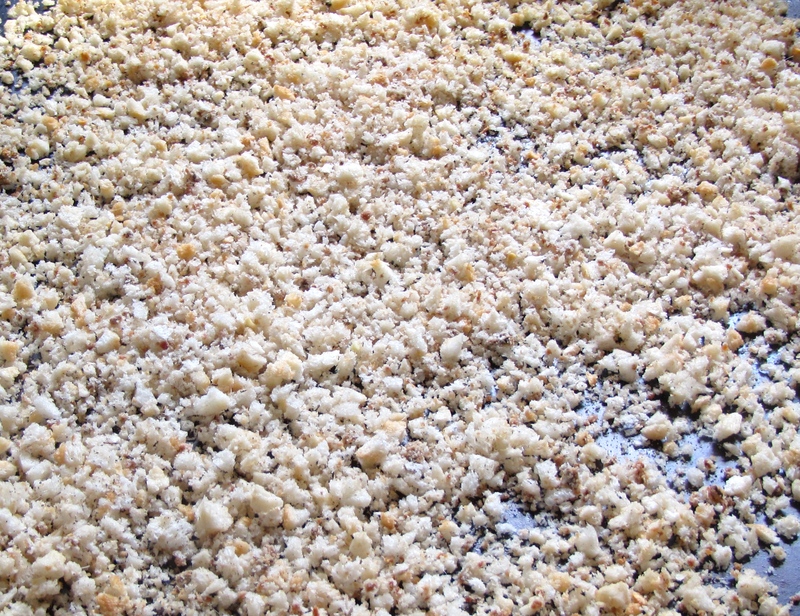 The taste is quite complex and it is worth spending the time to make the pangrattato. 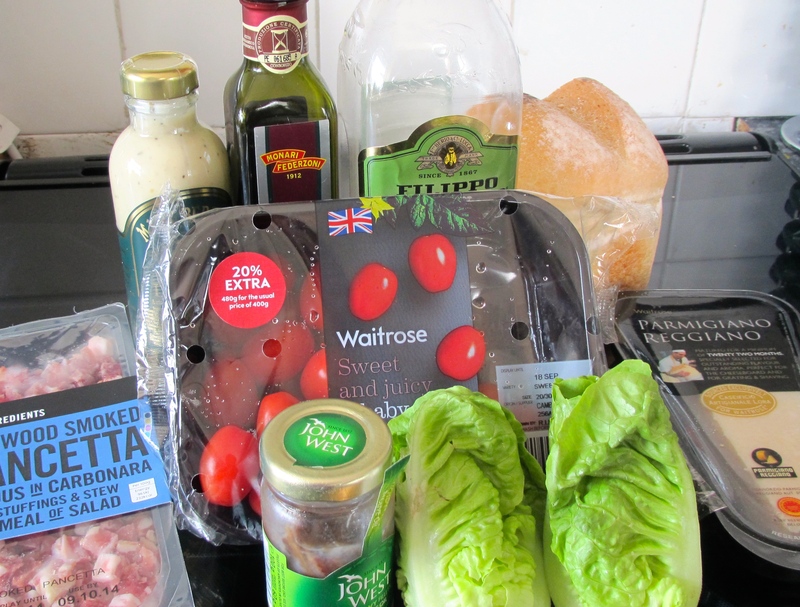 The pangrattato was quite fishy, so I would probably use slightly less anchovy fillets if I made it again. 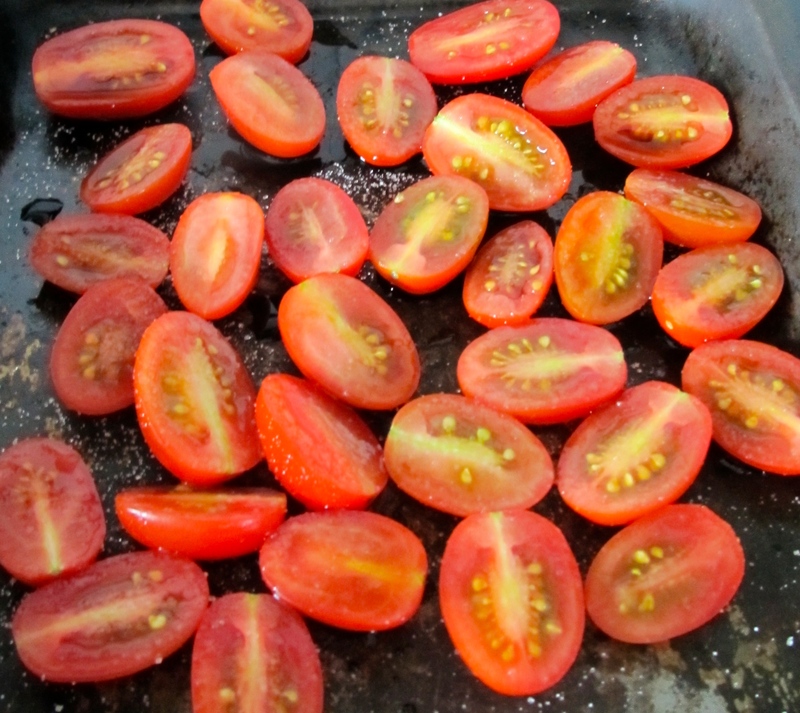 The roasted cherry tomatoes are sweet and work really well with the balsamic vinegar. The dish was slightly too salty, so I would add salt sparingly. As long as you have plenty of time to make this dish, then it’s definitely worth it. It’s not an everyday dish, but for a special occasion it would make a lovely side dish. I added pan-fried chicken breasts to make it a slightly more substantial meal.